For my lyrical tape painting I choose changes by Tupac because it gave me the most visuals when I heard it. The lyrics in this song explain how blacks are targeted and misrepresented as drug dealers, criminals, etc. 1. How and why is art used as a vehicle for communication? Art is a way of expressing emotions and even showing a message, everyone will get a different message and meaning. 2. How can emotion be shared artistically? 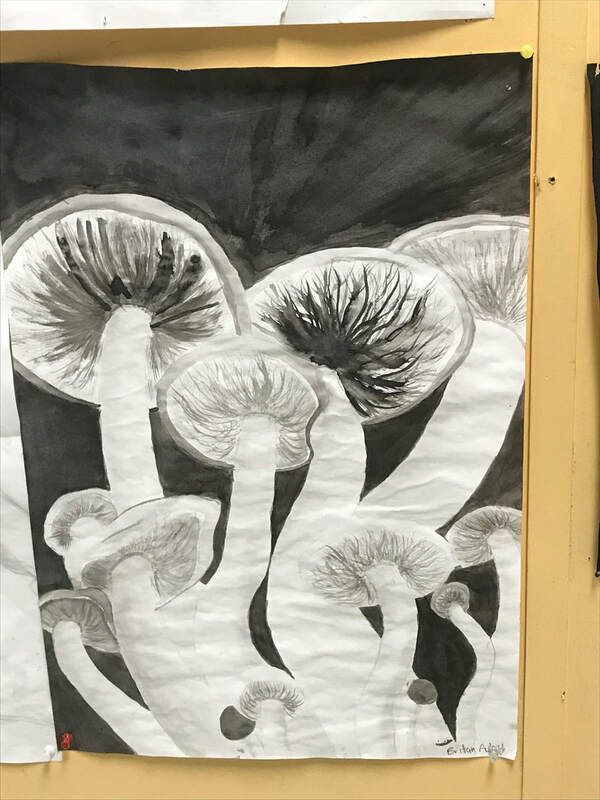 During this project we had to create an India ink painting while practicing value and a different variety of brush strokes and sizes. Value: the lightness or darkness of a color or shade. Contrast: the degree of difference between tones. Composition: the act of combining parts or elements to form a whole.